Migraine is incredibly common and affects up to 15% of females and 6% of males . Most patients often self-diagnose and self-medicate and self-manage. Most are stoics and only just over a half  see and are diagnosed and managed by their general practitioner. They may have neurology review when the diagnosis is in doubt or severe and disabling and refractory to initial therapy. Migraine can cause severe disability affecting work for some . It is only a small subset who come in contact with the stroke physician. These are usually when migraine with aura starts later in life or its pattern changes and patients are referred to the TIA clinic and should be differentiated by the recurrent episodic positive symptomatology often in a young patient. Secondly when patients present with persisting migrainous symptoms that mimic stroke or with what is called migrainous stroke or simply present with stroke. Third - many of the rarer causes of stroke appear to have a greater incidence of Migraine. Migraine is a risk factor and a rare cause of stroke particularly in women with migraine with aura. Concomitant smoking and OCP greatly increases stroke risk. It is important that those without Migraine understand a little about it. Those from a non-neurology background generally do not see migraineurs. Migraines change lives. Pain scores are up there with childbirth. It was one of the reasons I gave up Cardiology as before I discovered NSAIDS I was at the complete mercy of a migraine which would be suddenly disabling for hours cured only by sleep. Now after 30-60 minutes I can get back to work. All migraineurs however can feel awful and look awful and you may well see them in your emergency department. There is a spectrum and some can have the aura and the headache and nausea can be minimal. Famous Migraineurs allegedly include Julius Caesar, Napoleon, Freud, Thomas Jefferson, Charles Darwin and Vincent Van Gogh so obviously it correlates with intelligence. There is a suggestion of a migrainous personality which is slightly obsessive compulsive but most migraineurs value predictability and routine of work and eating and sleeping. 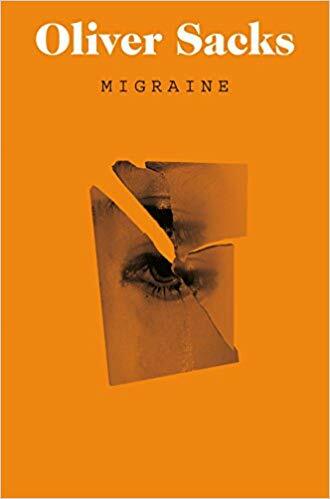 One of the best books on migraine is by Oliver Sacks. All stroke physicians should read it to just understand the widespread manifestations of migraine. I would also recommend this book which is for physicians by a former colleague Paul Davies. The Kindle version is very reasonably priced. The aetiology of all migraine is suspected to be spreading waves of cortical depression through cortex and dysfunction of aminergic brainstem/diencephalic sensory control systems. CSD is characterised by a wave of synchronised depression of electrical activity spreading at a rate of 1 to 15 mm per min across the cortex. A decrease in cerebral blood flow propagating anteriorly from the occipital cortex was repeatedly reported during attacks of migraine with aura. CSD then activates the trigeminovascular system, which is responsible for the migrainous headache. CSD is associated with hyperaemia that lasts for less than 2 minutes, followed by spreading oligaemia that persists for 1-2 h and corresponds to a 20-30% reduction in cerebral blood flow though not usually enough to cause ischaemia although so called migrainous infarction has been seen. There appears to be a rise in calcitonin gene-related peptide during an acute migraine attack. There has been a lot of interest in trigeminal sensory neuropeptide calcitonin gene-related peptide (CGRP) or its receptor  and migraine. It is well known that the trigeminal ganglion is central to the trigeminovascular reflex, which is triggered to protect against vasoconstriction. The triggering of this system in migraineurs leads to the the migraine headache. CGRP receptor blockers such as ubrogepant are effective for acute relief of migraine headache. Monoclonal antibodies against CGRP (eptinezumab, fremanezumab and galcanezumab) or the CGRP receptor (erenumab) effectively prevent migraine attacks. Another associated compound is pituitary adenylate cyclase-activating polypeptide (PACAP) which can trigger migraine attacks associated with dilation of blood vessels in the brain. In this context, PACAP38 has emerged as a key signaling molecule implicated in migraine. Migraine with aura (classical) The aura is a complex of neurological symptoms that occurs just before or at the onset of migraine headache. The aura builds over 5-20 minutes and lasts less than 60 minutes. Headache then follows. Sometimes the aura can occur without any follow up headache or the headache does not have migrainous features. First of all we should define migraine. Migraine is a clinical diagnosis. There is no diagnostic test other than an accurate history of often severe recurrent periodic vascular headache lasting 4-72 hours, usually but by no means always on one side of the head, often accompanied by nausea, vomiting and photophobia, sometimes preceded by sensory disturbances. Triggers include allergic reactions, excess carbohydrates or iodine in the diet, alcohol, bright lights or loud noises. Migraine can then be further broken down into the common types Migraine without aura (MO) and the less common Migraine with aura (MA) which makes up a third of all cases. 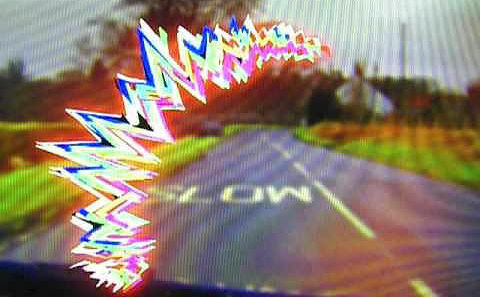 The aura is a symptomatic experience of typically positive symptomatology such as flashing lights, fortification spectra, scotomas with bright edges. Others include tingling which may spread over the face, arm and leg and may even cross the midline. It spreads slowly over minutes. There may be word finding difficulties mimicking dysphasia. These are usually transient and last minutes and precede the headache. 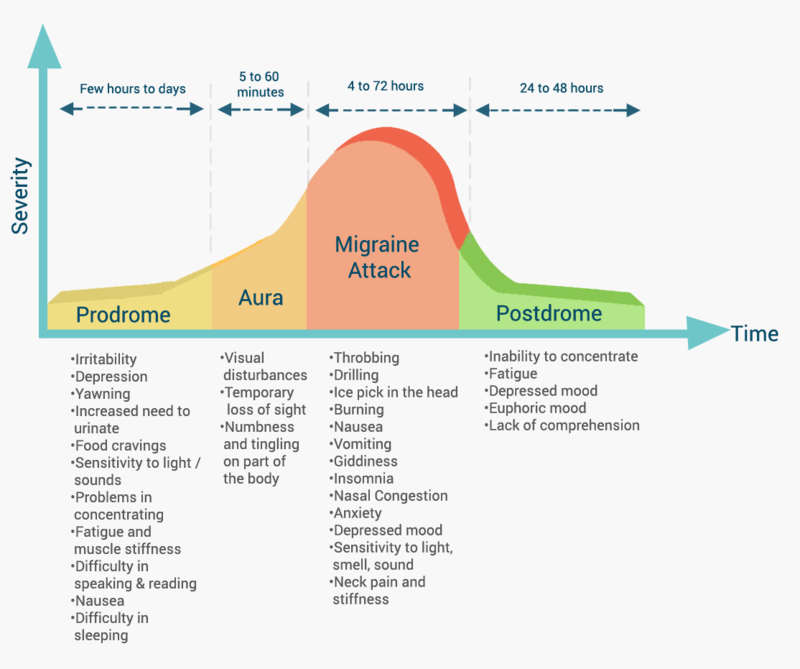 Attacks may be preceded by warning symptoms that occur for hours even a day or two before a migraine attack (with or without aura). Examples include fatigue, poor concentration, even neck stiffness, heightened sensitivity to light or sound, nausea, blurred vision, yawning and pallor. These do not represent aura. These can be useful diagnostically as a TIA should have no phases simply a transient functional neurological deficit. Speech Aphasic or Dysphasic like speech disturbance which resolves. Almost always expressive and not receptive. Removal of stress "saturday morning headaches"
Physical exertion, Bright lights or sounds. There is a close but incompletely understood relationship between stroke and migraine which we shall try to examine. Hemiplegic migraine Migraine with aura including motor weakness and followed by the headache. Can be mistaken for TIA in those under 40 or even stroke. The weakness can persist beyond the aura phase and outlast the headache. If a first degree relative affected consider Familial hemiplegic migraine. Basilar migraine aura manifests as brainstem symptoms such as dysarthria, vertigo, tinnitus, hypoacusia, diplopia, visual symptoms simultaneously in both temporal and nasal fields of both eyes, ataxia, decreased level of consciousness, simultaneously bilateral paraesthesias. 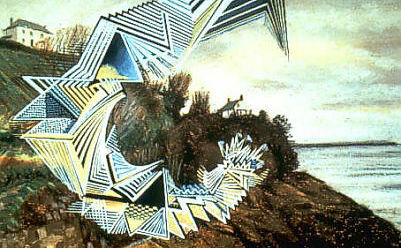 Retinal migraine Repeated attacks of monocular or homonymous visual disturbance, including scintillations, scotomata or blindness, associated with migraine headache. Between attacks eye exam is normal. This differentiation between those who experience aura (MA) and those who don't (MO) is important as it is the patients with aura who appear to have a greater ischaemic and haemorrhagic stroke risk and it seems to be an important stroke risk factor [Kurth T et al. 2012]. Studies suggest a doubling of the baseline risk factors for both stroke types. The risk is greater in those with more frequent attacks. There is a particular group of patients - females on the pill who smoke who have migraine with Aura have a 10 fold increase in stroke risk. Several neuroimaging studies have shown an increased prevalence of approximately four fold rise in white matter hyperintensities in people with migraine. These are more frequent in those with a higher rate of attacks. Studies have shown brainstem and cerebellar lesions. In terms of management caution must be taken when separating TIA and migraine with aura. Difficulties arise in those over 50 with indeterminate features and one must then use Bayesian principles on likelihood of cerebrovascular disease and risk and benefits of standard therapy. Low dose aspirin may have advantages for both. Migraine with aura however can however present in those over 50s but one can cover all bases with aspirin if there is uncertainty. In migraineurs who stroke ergot derivatives and triptans should be discontinued. Young female migraineurs with aura should avoid smoking and the OCP. CADASIL is usually not screened for unless there are suggestive MRI changes and a positive family history. Lastly the hemiplegic migraine patient has an aura that consists of motor weakness. They may have sporadic hemiplegic migraine due to de novo mutations or have at least one affected first-degree or second-degree relative and a diagnosis of having familial hemiplegic migraine. Typical hemiplegic migraine attacks start before the age of 20 and include gradually progressing visual, sensory, motor, aphasic, and often basilar-type symptoms, accompanied by headaches. Most patients also have attacks of migraine with typical aura without weakness. For those interested in the genetics I would refer you to the literature [Russell M 2011]. They may present to the Emergency Department and for consideration of stroke thrombolysis. There may be motor weakness and this is always associated with at least another aura symptom such as sensory symptoms which may be numbness or tingling as well as visual - scotoma, scintillation and hemianopias. Signs may be unilateral or spread bilaterally. Headache is seen in 95% and may precede the aura. Some have minimal or no headache. Some have coma, seizures and acute delirium and complex delusions. Cerebellar signs are common. The differential includes focal seizures. Thrombolysis should certainly be considered if this is a first presentation or an atypical presentation with persisting classical stroke like appearance. An initial MRI DWI showing restricted diffusion or CTA showing large vessel obstruction may help clarify the diagnosis but these are often unavailable or will significantly delay treatment. Take expert help. These patients are at increased stroke risk and one would not wish to miss thrombolysing a young patient. Bleed risk is likely to be low if the underlying aetiology is migraine. Occasionally CT and MRI changes suggesting infarction may be found in patients who have simply had a very intense and prolonged migraine with aura. It is a rare diagnosis and it is vital that the history fits a typical migrainous pattern. The aura should persist for at least 60 minutes. The patient may have had prior similar attacks or recurring after. Migraine with aura has been shown to cause a drop in cerebral perfusion which could lead to Migrainous infarction within the setting of a typical migraine. However migrainous infarction is also seen in those with migraine without aura. PFO is twice as common in those with Migraine with aura though there do not appear to be any benefits of closure [Dowson A et al. 2008]. It was though the association may be due to vasoconstricting triptans or ergotamine derivatives but this has not been shown to be the case. It is commoner in the posterior circulation such as a small occipital infarct after a severe visual aura which has left a persistent visual defect. Other examples include left cortical infarcts in those with a profound right sided sensorimotor symptoms which may have been positive. Management is to avoid HRT and OCP and stop smoking and manage migraine. Some may benefit from regular use of an antiplatelet such as aspirin. Explanation and reassurance. Stop oestrogen pill in females with migraine with aura. Migraine without aura the common form has no added stroke risk and in these patients the OCP may be carefully considered. Smoking should cease. Blood pressure control is also advised. Generally any of the traditional medications which vasoconstrict are inadvisable in stroke. These include triptans, serotonin agonists (pizotifen, methysergide), and ergot alkaloids. NSAIDs may be tried where there are no complications mindful of the gastric irritation and BP effects of these agents. Best used on a needed basis. Ibuprofen 600 mg seems reasonable. Migraine and reduced work performance: a population-based diary study.Neurology. 1998 Jun;50(6):1741-5.